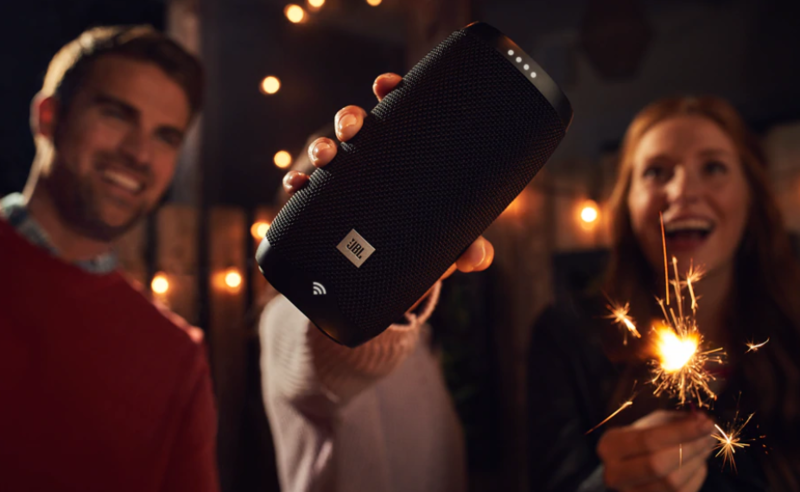 Product information "JBL Link 10 Portable Smart Speaker in Black"
Get help from your Google Assistant: JBL Link 10 has the Google Assistant built-in. It is your own personal Google. Always ready to help. Hands-free voice control: Far-field voice recognition allows for easy hands-free operation. Ask questions across the room and the JBL Link 10 will respond. Simple setup with the Google Home app on iOS & Android (Simple setup & use): With the free Google Home app on iOS & Android, you can easily setup and manage your JBL Link 10. 24 bit/96KhZ High quality sound, powered by the cloud: Chromecast streams from the cloud, so you get the highest sound quality. Enjoy crystal clear sound exactly the way the artist intended. Multi-room playback across speakers that have Chromecast built-in: Easily set up your system and control multi-room playback with Google Home app. A step by step guide allows you to quickly start streaming your music. 2.4/5GHz Wi-Fi connection network support: Support both 2.4GHz and 5GHz Wi-Fi connection, resulting in a faster, robust and more stable wireless connection. 5 hours of playtime: Built-in 4000mAh rechargeable Li-on battery supports up to 5 hours of playtime. IPX7 Waterproof: No more worrying about rain or spills; you can even submerge Link 10 in water. Lifestyle material: The durable fabric material and rugged rubber housing allows your speaker to outlast all your adventures. The JBL Link 10 is a voice activated portable speaker with Wi-Fi and Bluetooth® enabled that delivers immersive stereo sound. It has the Google Assistant built-in. It’s your own personal Google. Always ready to help. You can ask it questions. And tell it to do things. The more you use it, the more useful it gets. Just start with “Ok Google” – a simple voice request triggers your JBL Link 10 to play music, podcasts or radio from services like Google Play Music, Spotify, Pandora and more. This compact speaker is powered by a 4000mAh rechargeable Li-ion battery that offers 5 hours of continuous, high-quality audio playtime. Featured with durable, waterproof fabric materials, JBL Link 10 is ready to outlast all your adventures. And with the Chromecast built-in, you can instantly start streaming to JBL Link 10 from your favourite music apps. 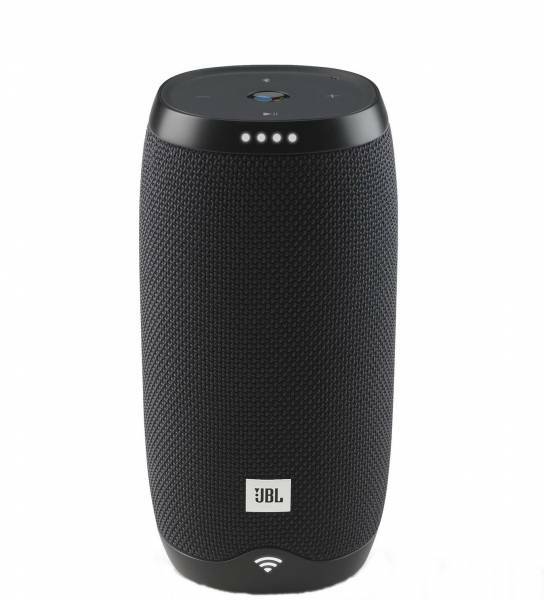 Related links to "JBL Link 10 Portable Smart Speaker in Black"